Maharashtra Act No. XV OF 1971. [Received the assent of the President on the 12th day of February 1971; assent was first published in the Maharashtra Government Gazette, on the 19th February 1971]. 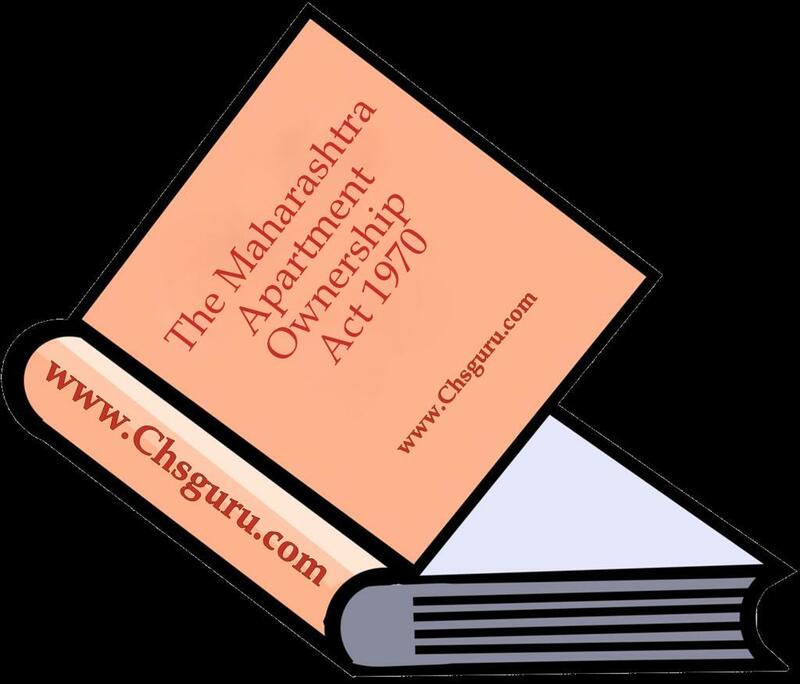 This Act may be called the Maharashtra Apartment Ownership Act, 1970. It extends to the whole of the State of Maharashtra. This section shall come into force at once; and the remaining provisions of this Act shall come into force in such areas, and on such dates as the State Government may, by notification in the Official Gazette, appoint; and different dates may be appointed for different areas. Provided further that the sole owner or all the owners of the land may submit such land to the provisions of this Act with a condition that he or they shall grant a lease of such land to the apartment owners, terms and conditions of the lease being disclosed in the Declaration either by annexing a copy of the instrument of lease to be executed to the Declaration or otherwise. "Property" means the land, the building, all improvements and structures thereon, and all easements, rights and appurtenances belonging thereto, and all articles of personal property intended for use in connection therewith, which have been, or are intended to be, submitted to the provisions of this Act. and accordingly, an apartment owner may transfer his apartment and the percentage of undivided interest in the common areas and facilities appurtenant to such apartment by way of sale, mortgage, lease, gift, exchange or in any other manner whatsoever in the same manner, to the same extent and subject to the same rights, privileges, obligations, liabilities, investigations, legal proceedings, remedies and to penalty, forfeiture and punishment as any other immoveable property, or make a bequest of the same under the laws applicable to the transfer and succession of immoveable property. Each apartment owner shall be entitled to the exclusive ownership and possession of his apartment in accordance with the Declaration executed and registered as required by section 2 of this Act. Each apartment owner shall execute a Deed of Apartment in relation to his apartment in the manner prescribed for the purpose. Each apartment owner shall be entitled to an undivided interest in the common areas and facilities in the percentage expressed in the Declaration. Such percentage shall be computed by taking as a basis the value of the apartment in relation to the value of the property and such percentage shall reflect the limited common areas and facilities. The percentage of the undivided interest of each apartment owner in the common areas and facilities as expressed in the Declaration shall have a permanent character, and shall not be altered without the consent of all of the apartment owners expressed in an amended Declaration duly executed and registered as provided in this Act. The percentage of the undivided interest in the common areas and facilities shall not be separated form the apartment to which it appertains, and shall be deemed to be conveyed or encumbered with the apartment even though such interest is not expressly mentioned in the conveyance or other instrument. The common areas and facilities shall remain undivided and no apartment owner or any other person shall bring any action for partition or division of any part thereof, unless the property has been removed from the provisions of this Act as provided in sections 14 and 22. Any covenant to the contrary shall be null and void. Each apartment owner may use the common areas and facilities in accordance with the purpose for which they are intended without hindering or encroaching upon the lawful rights of the other apartment owners. The necessary work of maintenance, repair and replacement of the common areas and facilities and the making of any additions or improvements thereto shall be carried out only as provided herein and in the bye-laws. The Association of Apartment Owners shall have the irrevocable right, to be exercised by the Manager or Board of Managers, to have access to each apartment from time to time during reasonable hours as may be necessary for the maintenance, repairs and replacement of any of the common areas and facilities therein or accessible there from, or for making emergency repairs therein necessary to prevent damage to the common areas and facilities or to another apartment or apartments. Each apartment owner shall comply strictly with the bye-laws and with the administrative rules and regulations adopted pursuant thereto, as either of the same may be lawfully amended from time to time, and with the covenants, conditions and restrictions set forth in the declaration or in the Deed to his apartment. 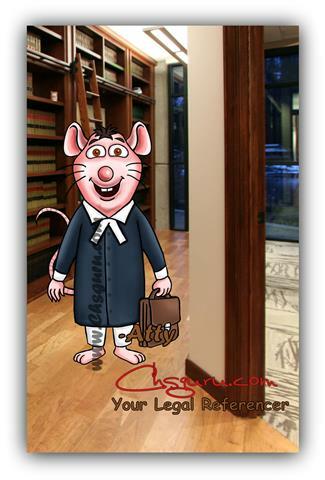 Failure to comply with any of the same shall be a ground for an action to recover sums due, for damages or injunctive relief or both maintainable by the Manager or Board of Managers on behalf of the Association of Apartment Owners, or, in a proper case, by an aggrieved apartment owner. No apartment owner shall do any work which would jeopardize the soundness or safety of the property, reduce the value thereof or impair any easement or hereditament nor may any apartment owner add any material structure or excavate any additional basement or cellar without in every such case the unanimous consent of all the other apartment owners being first obtained. Provided further that, no labour performed or material furnished with the consent or at the request of an apartment owner or his agent or his contractor or sub-contractor shall be the basis for a charge or any encumbrance under the provisions of the Transfer of Property Act, 1882, against the apartment of any other property of any other apartment owner not expressly consenting to or requesting the same, except that such express consent shall be deemed to be given by the owner of any apartment in the case of emergency repairs thereto. Labour performed and material furnished for the common areas and facilities if duly authorised by the Association of Apartment Owners the Manager or Board of Managers in accordance with this Act. The Declaration or bye-laws shall be deemed to be performed or furnished with the express consent of each apartment owner and shall be the basis for the charge or encumbrance under the Act aforesaid against each of the apartments and shall be subject to provisions of sub-section (2) of this section. In the event of a charge or any encumbrance against two or more apartments becoming effective, the apartment owners of the separate apartments may remove their apartments and the percentage of undivided interest in the common areas and facilities appurtenant to such apartments from the charge or encumbrance by payment of the fractional or proportional amounts attributable to each of the apartments affected. Such individual payment shall be computed by reference to the percentages appearing in the Declaration. Subsequent to any such payment, discharge or other satisfaction, the apartment and the percentage of undivided interest in the common areas an facilities appurtenant thereto shall thereafter be free and clear of the charge or encumbrance so paid, satisfied or discharged. The common profits of the property shall be distributed among, and the common expenses shall be charged to, the apartment owners according to the percentage of the undivided interest in the common areas and facilities. The method by which the Declaration may be amended, consistent with the provisions of this Act. A true copy of each of the Declaration and bye-laws and all amendments to the Declaration or the bye-laws shall be filed in the office of the competent authority. Description of the land as provided in section 11 of this Act of the post office address of the property, including in either case the liber, page and date of executing the Declaration, the date and serial number of its registration under the Registration Act, 1908, and the date and other reference, if any, of its filing with the competent authority. The apartment number of the apartment in the Declaration and any other date necessary for its proper identification. Statement of the use for which the apartment is intended and restrictions on its use, if any. The percentage of undivided interest appertaining to the apartment in the common areas and facilities. Any further details which the parties to the Deed may deem desirable to set forth consistent with the Declaration and this Act. A true copy of every Deed of Apartment shall be filed in the office of the competent authority. The Declaration and all amendments thereto and the Deed of Apartment in respect of each apartment and the floor plans of the buildings referred to in sub-section (2) shall all be registered under the Registration Act, 1908. Simultaneously with the registration of the Declaration there shall be filed along with it a set of the floor plans of the building showing the layout, location, apartment numbers and dimensions of the apartments stating the name of the building or that it has no name, and bearing the verified statement of an architect certifying that it is an accurate copy of portions of the plans of the building as filed with and approved by the local authority within whose jurisdiction the building is located. If such plans do not include a verified statement by such architect that such plans fully and accurately depict the layout, location, apartment numbers and dimensions of the apartments as built, there shall be recorded prior to the first conveyance of any apartment, an amendment to the Declaration to which shall be attached a verified statement of an architect certifying that the plans theretofore filed, or being filed simultaneously with such amendment, fully and accurately depict the layout, location, apartment number and dimensions of the apartment as built. In all registration offices a book called "Register of Declaration and Deeds of Apartments under the Maharashtra Apartment Ownership Act, 1970" and Index relating thereto shall be kept. The book and the Index shall be kept in such form and shall contain such particulars as the State Government may prescribe. It shall be the duty of every Manager of Board of Managers to send to the Sub-Registrar of the Sub-district in which the property containing the apartments situate, or if there is no Sub-Registrar for the area, to the Registrar of the district in which such property is situate a certified copy of the Declaration and Deed of Apartment made in respect of every apartment contained in the building forming part of the property together with a memorandum containing such particulars as the State Government may prescribe. The Sub-Registrar, or as the case may be, the Registrar shall register the Declaration along with floor plans of the building and the Deed of Apartment in the Register of Declarations and Deeds of Apartments under the Maharashtra Apartment Ownership Act, 1970 and shall also enter particulars in the Index kept under sub-section (3). Any person acquiring any apartment of any apartment owner shall be deemed to have notice of the Declaration and of the Deed of Apartment as from the date of its registration under this section. Except as provided in this section, the provisions of the Registration Act, 1908, shall mutatis mutandis apply to the registration of such Declarations and Deeds of Apartments and the words and expressions used in this section but not defined in this Act, shall have the meanings assigned to them in the Registration Act, 1908. Provided that, the holders of all charges and other encumbrances affecting any of the apartments consent thereto or agree, in either case by instruments duly executed that their charges or encumbrances be transferred to the percentage of the undivided interest of the apartment owner in the property as hereinafter provided. Upon removal of the property from the provisions of this Act, the property shall be deemed to be owned in common by the apartment owner. The undivided interest in the property owned in common which shall appertain to each apartment owner shall be the percentage of undivided interest previously owned by such owner in the common areas and facilities. The removal provided for in the preceding section shall in no way bar the subsequent resubmission of the property to the provisions of this Act. The percentage of the votes required to amend the bye-laws. Subject to the provisions of this Act, provision for regulating, transfer or partition of any apartment and percentage of undivided interest in the common areas and facilities appurtenant to such apartment, subject to such terms and conditions as may be specified in the bye-laws. Any other provisions not inconsistent with the provisions of this Act relating to the audit and accounts and administration of the property and annual and special general meetings, annual report and the like. No apartment owner may exempt himself from liability for his contribution towards the common expenses by waiver of the use of enjoyment of any of the common areas and facilities, or by abandonment of his apartment. Notwithstanding anything to the contrary contained in any law relating to local authorities, each apartment and its percentage of undivided interest in the common areas and facilities appurtenant to such apartment (being an apartment submitted to the provisions of this Act) shall be deemed to be separate property for the purpose of assessment to tax on lands and buildings leviable under such law and shall be assessed and taxed accordingly; and for this purpose, a local authority shall make all suitable rules to carry out the provisions of this section. Neither the building, the property nor any of the common areas and facilities shall be deemed to be separate property for the purposes of the levy of such tax. All sums assessed by the Association of Apartment Owners but unpaid for the share of the common expenses chargeable to any apartment shall constitute a charge on such apartment prior to all other charges except, only (i) charge, if any, on the apartment for payment of Government and municipal taxes, and (ii) all sums unpaid on a first mortgage of the apartment. Upon the sale of an apartment, the purchaser of the apartment shall be jointly and severally liable with the vendor for all unpaid assessments against the latter or his share of the common expenses up to the time of the sale without prejudice to the purchaser's or grantee's right to recover from the vendor the amount paid by the purchaser or grantee therefor. Any such purchaser shall be entitled to a statement from the Secretary of Board of Managers setting forth the amount of the unpaid assessment against the vendor and such purchaser or grantee shall not be liable for, nor shall the apartment sold, be subject to a charge for any unpaid share of common expenses against such apartment accrued prior to such sale or request in excess of the amount therein set forth. The Manager or Board of Managers, if required by the Declaration or the bye-laws or by a majority of the apartment owners, or at the request of a mortgagee having a first mortgage covering an apartment, shall have the authority to, and shall obtain insurance for the property against loss or damage by fire, and such other hazards under such terms and for such amounts as shall be required, or requested. Such insurance coverage shall be written on the property in the name of such Manager or of the Board of Managers of the Association of the Apartment Owners as trustee for each of the apartment owners in the percentages established in the Declaration. Premiums shall be common expenses. Provisions for such insurance shall be without prejudice to the right of each apartment owner to insure his own apartment for his benefit. the property shall be subject to an action for partition at the suit of any apartment owner, in which event the net proceeds of sale together with the net proceeds of the insurance on the property, if any, shall be considered as one fund and shall be divided among all the apartment owners in percentage equal to the percentage of undivided interest owned by each owner in the property after first paying out, all the respective shares of the apartment owners to the extent sufficient for the purpose and all charges on the undivided interest in the property owned by each apartment owner. Without limiting the rights of any apartment owner, actions may be brought by the Manager or Board of Managers, in either case in the discretion of the Board of Managers on behalf of two or more of the apartment owners as their respective interest may appear, with respect to any cause of action relating to the common areas and facilities or more than one apartment. Service of process on two or more apartment owners in any action relating to the common areas and facilities or more than one apartment may be made on the person designated in the Declaration to receive service of process. All apartment owners, tenants of such owners, employees of owners and tenants, or any other person that may in any manner use property or any part thereof submitted to the provisions of this Act shall be subject to this Act and to Declaration and the bye-laws of the Association of Apartment Owners adopted pursuant to the provisions of this Act. All agreements, decisions and determinations lawfully made by the Association of Apartment Owners in accordance with the voting percentages established under this Act, Declaration or bye-laws shall be deemed to be binding on all apartment owners. any fee payable by or on behalf of any promoter, apartment owner or association of apartment owners in relation to instruments or documents referred to in clause (a) under any law relating to the registration of documents or to court fees, for the time being in force which the State Government is competent to levy. The State Government may refund the amount of any duty or fee paid in pursuance of any law referred to in sub-section (1) in such circumstances, to such extent and subject to such terms and conditions, if any, as the State Government may be order determine. The State Government may, subject to the condition of previous publication by notification in the Official Gazette, make rules for carrying into effect the provisions of this Act. Every rule made under this section shall be laid as soon as may be after it is made before each House of the State Legislature while it is in session for a total period of thirty days which may be comprised in one session or in two successive sessions, and if, before the expiry of the session in which it is so laid or the session immediately following, both Houses agree in making any modification in the rule or both Houses agree that the rule should not be made and notify such decision in the Official Gazette, the rule shall, from the date of publication of such notification have effect only in such modified form or be of no effect, as the case may be, so however, that any such modification or annulment shall be without prejudice to the validity of anything previously done or omitted to be done under that rule. For the removal of doubt, it is hereby declared that the provisions of the Transfer of Property Act, 1882, shall in so far as they are not inconsistent with the provisions of this Act, apply to every apartment together with its undivided interest in the common areas and facilities appurtenant to such apartment as those provisions apply in relation to any immovable property, and the provisions of this Act shall take effect, notwithstanding anything to the contrary contained in any contract. The enactment specified in the Schedule hereto shall be amended in the manner and to the extent specified in the third column thereof. If any provision of this Act or any section, sentence, clause, phrase, or word or application thereof in any circumstances is held invalid, the validity of the remainder of this Act and of the application of any such provision, section, sentence, clause, phrase or ward, in any other circumstances shall not be affected thereby. The Maharashtra Ownership Flats (Regulation of the promotion of construction, sale, management and transfer) Act, 1963. "(f) the expressions “apartment'' and `apartment owner'' shall have the meanings, respectively assigned to them in the Maharashtra Apartment Ownership Act, 1970". "(2) If any property consisting of building or buildings is constructed or to be constructed and the apartment takers propose to submit the apartments to the provisions of the Maharashtra Apartment Ownership Act, 1970 by executing Declarations and Deeds of Apartments as required by that Act, then the promoter shall inform the Registrar as defined in the Maharashtra Co-operative Societies Act, 1960 accordingly; and in such cases, it shall not be lawful to form any co-operative society or company, and each apartment owner shall be entitled to the exclusive ownership and possession of his apartment as provided in the first mentioned Act.". In section 11, after the word "flat takers" the words "or apartment owners" shall be inserted.